Planning a trip to Disney can be a confusing and expensive process if you don’t really know your stuff. 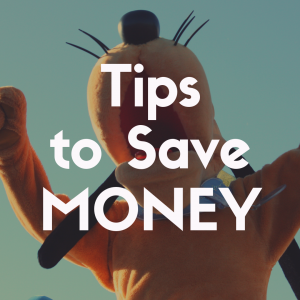 If it’s your first time booking a trip to Disney, you can find yourself lost down a rabbit hole of information when trying to score the best deals or make the best plans. Traveling to Disney World really is like traveling to a whole new country because there is so much to do and see, so much food to try, and so much money to be spent! So, for some people, booking a travel agent to help them with their Disney World trip is incredibly important while also saving them time and money! Having an authorized Disney travel agent is very important when looking for someone to help with your trip. Authorized Disney vacation planners have taken a series of courses through Disney themselves to earn this status and ensures they know all of the ins and outs of booking a Disney vacation. In this article, we’ll be going over the pros and cons of hiring a Disney World travel agent and the best Disney World travel agents you can find! What are Disney World Travel Agents? Disney World travel agents are typically highly trained and Disney-focused agents that can help you plan the entirety of your vacation. These people should be able to give you tons of information about Disney including pricing, restaurant recommendations, theme park passes, and more! These people will book your trip and help you to snag the best deals. Typically, working with a Disney travel agent should be completely free as they are paid a commission from Disney for assisting you with your vacation. Any payment you make should go directly to Disney and be processed by Disney in order to prevent fraudulent activity. Using a Disney World Travel agent is ideal for a busy family who is at least one month away from their vacation. This way, they have enough time to round up all of your paperwork, ensure everything is paid for, and hand off all of the information you need to you! When deciding on a Disney World travel agent, it is important to find someone who understands your family’s needs, interests, and priorities. This will help them create a memorable vacation for your family and truly have the best experience at the happiest place on Earth. There are also different levels of “Earmarks” vacation planners can earn based off of experience and customer satisfaction. A diamond and platinum level vacation planner are the top tiers of Disney vacation planners and have an extra level of trust with their clients. However, your agency doesn’t need one of these honors in order to provide you with a ton of help and a lovely vacation. Should I Hire a Disney World Travel Agent? Well, it depends! The ideal candidate for hiring a Disney travel agent are definitely first-timers. If your family has never been to Disney World, I highly suggest contacting an agent to help you out. Between FastPass+ selections, restaurant reservations, and all of the deals you can find, you will definitely want to let a travel agent take the reins. If you are planning on going again soon, then I suggest asking your travel agent for some pro tips and insights in order to learn more about booking your next trip yourself! If your family is busy with all of life’s little quirks, then you may want to hire a travel agent. Planning a trip to Disney can be very time consuming. It’s also not something you can sit down at your computer and do all at once. There are multiple days and processes involved in making the most out of your trip to Disney, and for this reason, it might be best for you to hire a travel agent. If you have been to Disney World multiple times, know the FastPass+ system and all of the best rides, then you probably get a kick out of planning your Disney vacation yourself! You probably won’t want to hire an agent, but if you do, it’s free anyways so you might as well! It’s a great way to ensure you are getting a great deal without all of the sweat and tears. 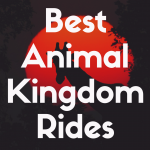 You can also let your agent know everyone’s favorite movies, rides, and characters in order to make sure you hit all of your favorite spots while on your trip! Let’s begin with Small World Vacations. Small World Vacations has been in the game for a while, and they really know their stuff! They do not charge for their services as they only make their money through the commission Disney pays them for booking vacations. This agency is also incredibly focused on each customer, taking you step by step through the planning process and ensuring all of your needs are met! They will work with you to ensure you have time to hit all of your favorite rides, meet your favorite characters, and snag those coveted reservations! Small World Vacations is also known for their prompt responses to all of your concerns! They are also a Diamond level authorized Disney Vacation Planner Travel Agency which means they are one of the best of the best when it comes to booking epic Disney vacations! They’re also Universal Orlando specialists, so if you’re looking to do everything in Orlando in one vacation, they’re the people to talk to! 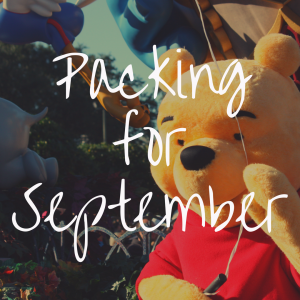 They’re also fantastic at finding the best Disney deals to save you money on your vacation! 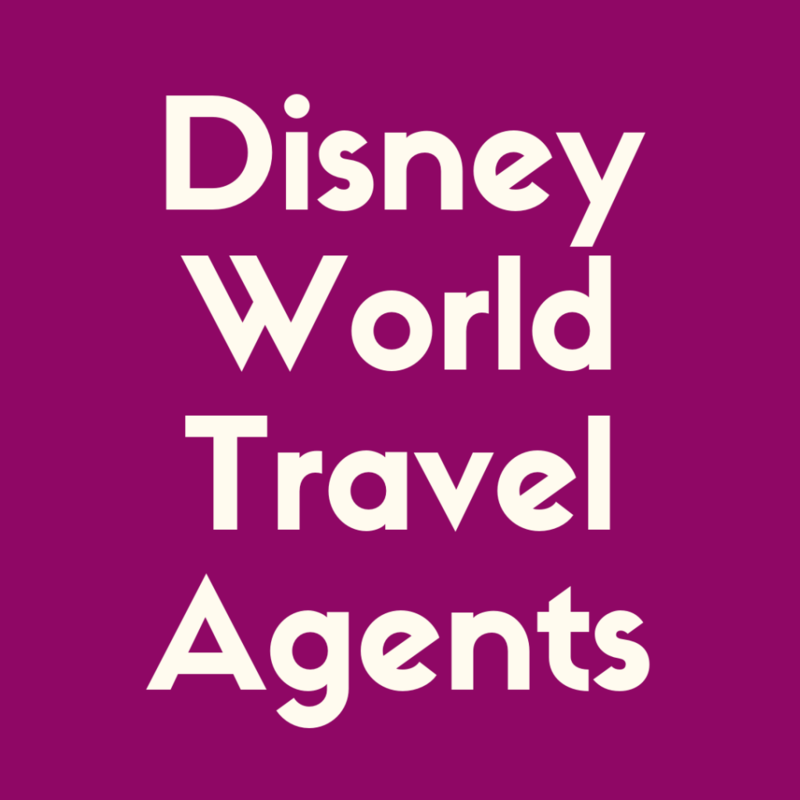 Mickey Travels is also one of the top Disney travel agencies out there. They’ve earned themselves a Platinum level authorized Disney vacation planner honor, and they have a large staff that can take the time needed to focus on your vacation and yours alone. They only ever work with one client at a time, so you can be sure that they will be attentive and focused on making your vacation memorable and magical. All of their services are free to you since they are an authorized travel agency which makes their services that much sweeter! They continuously monitor discounts for your trip, make custom itineraries, book airline reservations, and more! 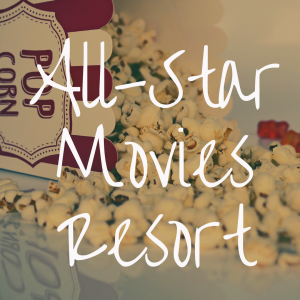 Mickey Travels is one of the highest rated Disney vacation travel agencies for a reason, and I highly recommend using them for your next visit! Glass Slipper Concierge was founded by a woman who wrote multiple books on traveling to Disney and all of the amazing hidden gems there. She has many years of experience in the travel industry, and eventually her love of Disney led her to create her own authorized Disney travel agency. They have Gold Key Advisors on staff who have earned this honor through their expertise. Glass Slipper Concierge is not a free service, and the vacation management fee is determined by the advisor. This platinum level earmarked agency has superb level of Disney knowledge available to you. They do have staff members that provide free vacation services as well, and personally, I think it’s best to go this route. You will still get a fantastic vacation from these individuals and spare yourself a few hundred bucks! The Vacationeer is a smaller Disney travel agency, but that doesn’t take them out of the running! Specializing in Disney as well as Universal vacations, they are a go-to team if you’re looking for an incredible Orlando vacation. Every team member has graduated from the Disney School of Knowledge and are also Disney-junkies! They have in-depth knowledge of everything happening in the parks and can make top-notch recommendations based off of your family’s interests. All of their services are free, and you can easily get a vacation quote by visiting their website! Mouseketrips has years of Disney vacation planning under the belt and have a goal to take the confusion out of planning your Disney trip! They are a Disney-only travel agency focused on providing magical trips for families all over the world! All of their services are free, and their clients leave them great reviews online! You can get a free quote by heading to their website and read plenty of customer reviews. Mouseketrips is a small agency that have earned their right to label themselves as an authorized Disney vacation planner. Each of their staff members is heavily focused on each client and want to help you get the best deal for your Disney stay! Dreams Unlimited Travel is the mecca of Disney knowledge. Just head to their website, and you will see that it is pouring with information about Disney including the deals they are running, new park additions, and more! They are a Better Business Bureau accredited business as well as an authorized Disney vacation planner. These guys know everything there is to know about Disney as well as can help with planning your trip to Universal Orlando. You can receive a free quote right on their website as well. One of the best parts of this travel agency is their client login which helps you and your planner stay organized together! Pixie Vacations is another fantastic Disney travel agency known for their attention to detail and personal touches. 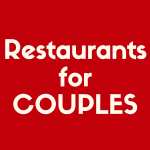 They have tons of fantastic customer reviews and plenty of information to read through on their website. Another authorized Disney vacation planner, Pixie Vacations works to ensure you are getting the best vacation possible for the best price possible. They are free to use and will alert you when a better price has come out for your vacation! You can get a free quote on their website and learn everything you need to know through their blog! Be Our Guest Vacations is yet another fantastic Disney travel agency with a lot of information and perks for you to take advantage of. They have an A+ rating from the Better Business Bureau and are an authorized Disney trip planner. They have severe attention to detail no matter the size of your party nor length of your vacation. Their intense love of Disney helps them stay on top of all the new things happening at Disney World and ensure you are getting the best bang for your Disney buck! You can also feel good about working with Be Our Guest Vacations as they donate a portion of their earnings from every vacation to the Make A Wish Foundation. As you can see, there are so many fantastic travel agencies to choose from that can help you with your Disney vacation. When choosing an agency, your top priorities are ensuring they are an authorized Disney vacation planner, have tons of knowledge and experience, as well as no fees along with booking your vacation. You want to find a planner who will be dedicated to finding the best deals and who will book the best attractions for you and your family. If you’re traveling during a holiday, be sure to ask them about special holiday events so they can leave time in your schedule for these! You will also want to give them the lowdown on everyone in your party’s favorite movies, characters, attractions, and food. This will help them a lot when booking your magical vacation. If you have any concerns, your Disney World travel agent should be easy to reach. They can answer any of your questions or concerns and provide tips for easy traveling! As I said before, hiring a Disney vacation planner isn’t always the best choice. However, nine times out of ten it can be a huge help when attempting to put together a fun-filled vacation that will be memorable for the whole family! Using this list as well as your own research, decide on a planner that best fits you and your family! 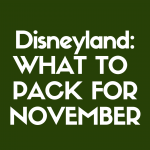 Then, plan to sit back and relax while your planner does the dirty work and start counting down the days until you’re at the happiest place on Earth!